Composed by Bob Good. 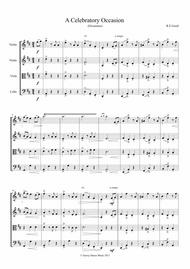 Classical Period, Contemporary Classical, Repertoire, General Instructional, Wedding. Score, Set of Parts. 7 pages. Published by Surrey Dance Music (S0.423781). 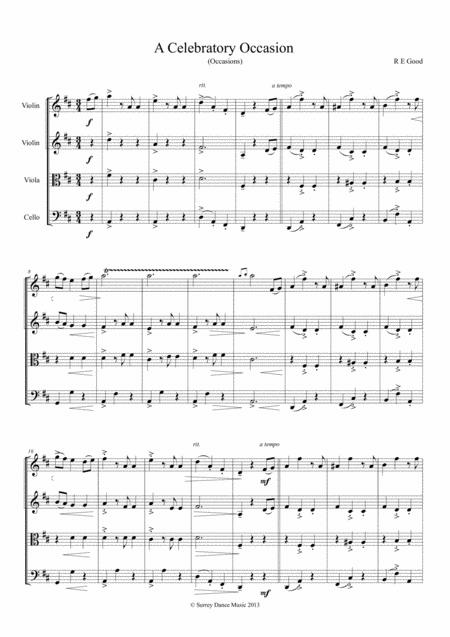 Exuberant String Quartet Waltz in the classical style. Only play it if you want to be happy.